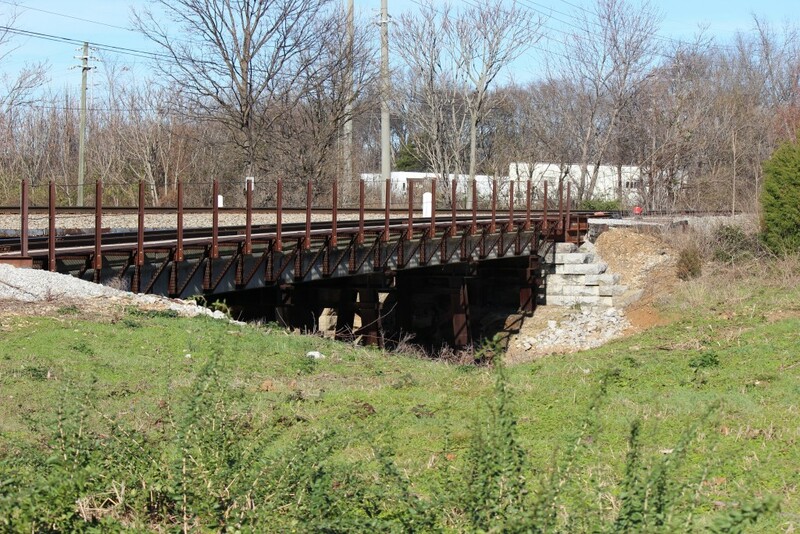 Railroad Bridges – Heavy Highway contractor Huntsville AL | Miller and Miller, Inc.
Miller & Miller Inc. performed the removal and replacement of the HMCRA Bridge over Pinhook Creek. 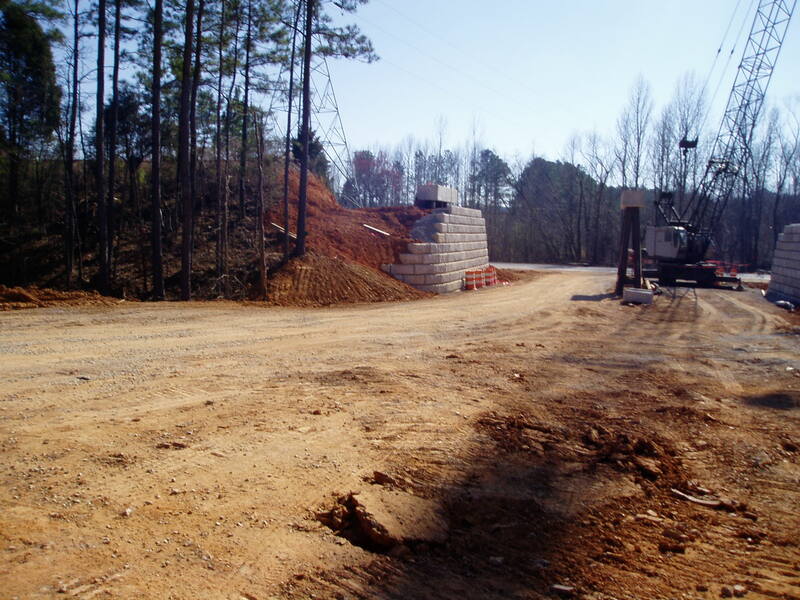 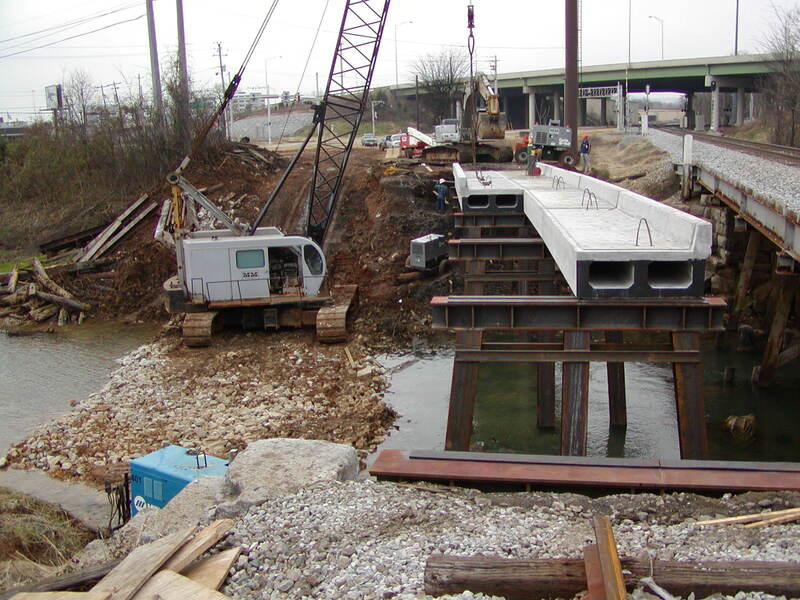 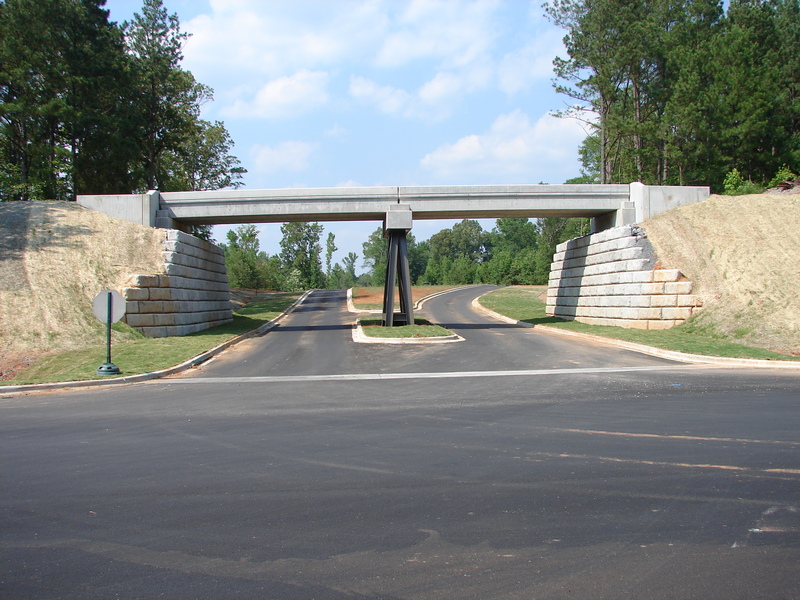 Precast deck sections and driven H-Piles were utilized in order expedite construction and minimize delays to HMCRA at this critical Norfolk Southern interchange. Miller & Miller Inc. was contracted to perform a Design/Build Bridge Replacement project for a private developer when the existing bridge structure was damaged during site work. 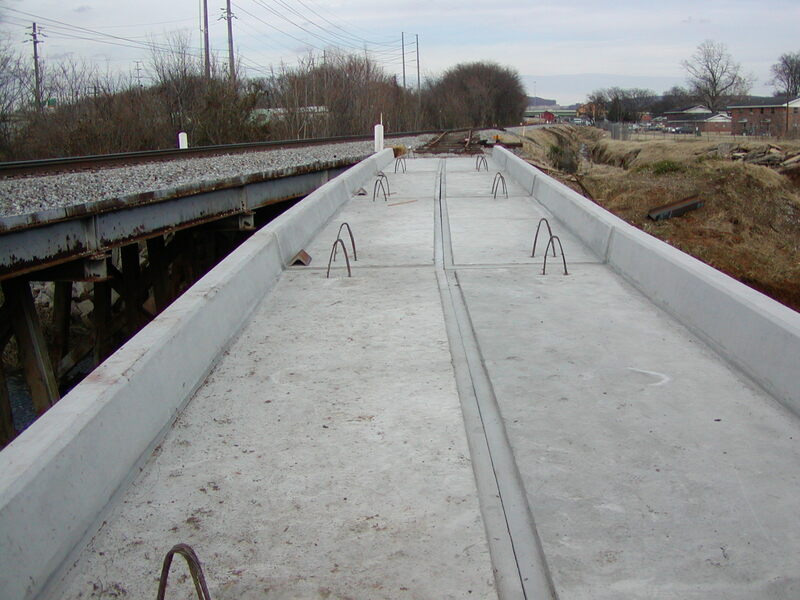 In order to expedite construction the deck panels and abutment wingwalls were cast offsite by Miller & Miller and delivered to the project site.